Everyone seemed to love The Hundred Year Old Man Who Climbed Out the Window and Disappeared. I lost count of how many people I recommended it to, so my expectations were set high when it came to Jonas Jonasson’s second novel (which he has now published, very quickly indeed). The Girl Who Saved the King of Sweden was released here in the UK last week, and I just finished it yesterday. You can certainly tell that it’s by Jonas Jonasson: echoes of The Hundred Year Old Man are everywhere in the novel. Some may say that this makes it a bit predictable – what with nuclear weapons, top-tier world leaders and awful coincidences cropping up everywhere – but the wider themes at the backbone of the novel remind me why I enjoy Jonasson’s writing so much. 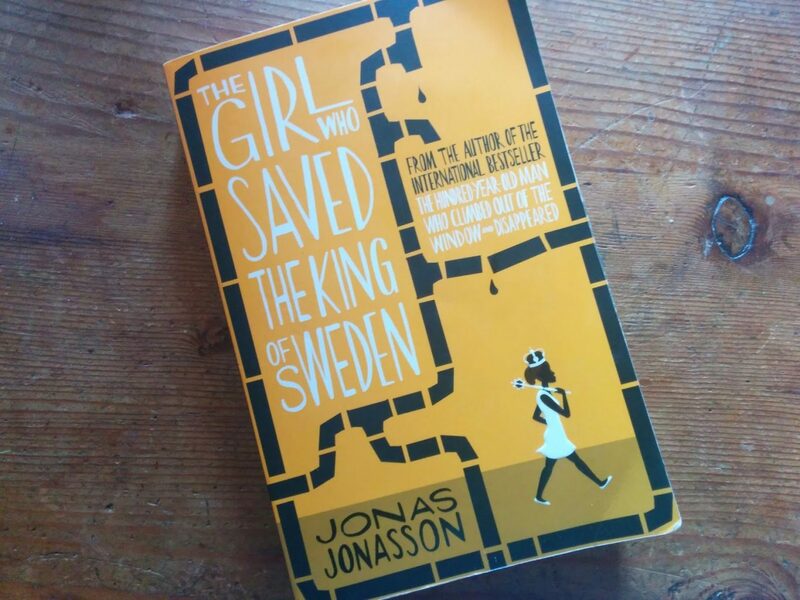 The Girl Who Saved the King of Sweden by Jonas Jonasson: an inspiring – albeit not perfect- second novel. Nombeko Mayeki is born in a shack in Soweto, South Africa in 1961, and is fated to die an early death like others working at the local sewage plant. Yet Jonasson works his magic, and her world collides with Swedish royalty, a twin who technically doesn’t exist and Israeli Mossad agents. The fate of Sweden lies in Nombeko’s hands (something greatly facilitated by her extraordinary intelligence), and we realise that anything is possible in this novel. The Girl Who Saved the King of Sweden is a novel about doing great things, continually learning, and always persevering. Degrees are achieved, political feats are accomplished, newspapers are set up, potato companies boom, and both millions and lifelong friends are earned. If you’re in need of some inspiration to stop procrastinating and get on and do something (very much like me as of late), see if Jonas Jonasson can help you out. 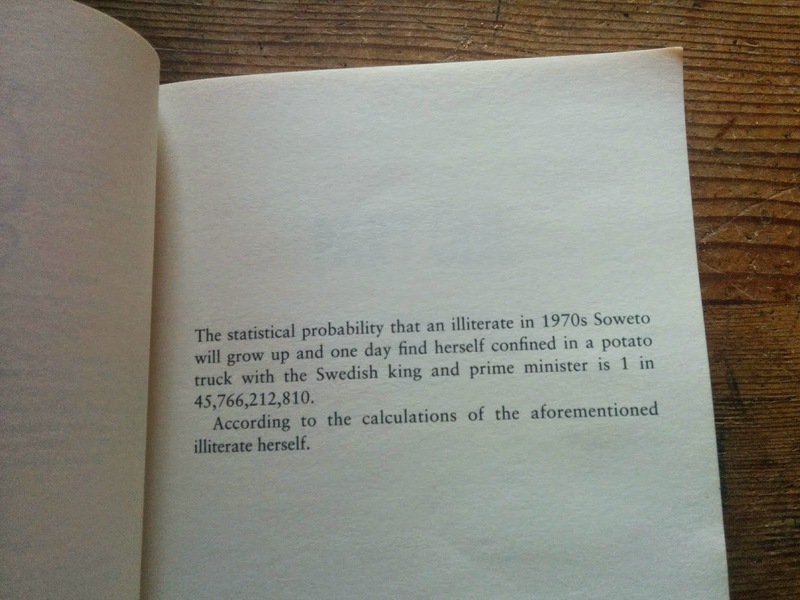 A sneaky reveal of the novel’s fate on the opening page of The Girl Who Saved the King of Sweden. All in all, The Girl Who Saved the King of Sweden is a really inspiring read that stretches across the globe. It’s not perfect, and I was less motivated to keep reading than with The Hundred Year Old Man, but I did find it worth reading. I’d definitely recommend The Hundred Year Old Man as a starting point for readers new to Jonasson, but The Girl Who Saved the King of Sweden has energy in the writing, memorable characters, and inspiration to apply to your own life. Have you read it yet, or are you keen to? I’m looking forward to the reviews of other bloggers! This sounds so very different and offbeat. It also sounds like it is a lot of fun. I really like books with absurd plots. However, that absurdity might dampen the inspiration factor a bit for me as it is usually very realistic stories that inspire me the most. Thanks Brian, I was hoping someone would mention the reality vs. absurdity question! Coincidence plays a big role in Jonasson's novels, and he also manages to describe absurd occurrences and coincidences in a way that makes them seem plausible (that must require some skill!) Also, I really love how he makes unlikely candidates achieve great things. However, I do know what you mean about realistic stories being the easiest to relate to – especially when it comes to biographies and non-fiction! I think switching between the absurd and the real makes for some really interesting reading.